Leaders of the U. S. Congress are beginning meetings of a Conference Committee with representatives from both chambers to reconcile differences in the Senate and House versions of the Elementary and Secondary Education Act. 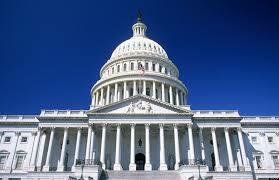 The Committee will meet for a few days before Congress breaks for a five-week summer vacation. The goal is to revise the 1965 ESEA that was reauthorized as No Child Left Behind in 2001. If they can reconcile the drastically differing Senate and House versions the plan is to send it to President Obama for his signature, or a veto if he finds it unacceptable, by the fall. Who sits on the committee is a controversy in itself. On July 28, 2015, the Network for Public Education issued an analysis of the two versions being debated in the ESEA Conference: ESEA Conference: Accountabilty vs. Title I Portability. While it contains some good description of the contrasts in the two versions, it does not explain what is behind the conflicts in Congress over federal education policy. This article will go into what is behind these disagreements and what they portend for the future of education, and the struggle for an equitable education for all, in the United States. The House version of the bill, known as the Student Success Act, mainly focuses on reducing the role of the federal government in education, making education policy an issue of states rights. Being reintroduced in the Conference Committee, after being rejected in its original bill, is the allowance of the use of Title I funding to be used by parents from low-income families for vouchers to private and parochial schools. The Senate version of the bill, known as the Every Child Achieves Act, is a bipartisan piece of legislation that focuses on accountability. Neoliberal Democrats hope to restore a form of the amendment proposed by Senator Chris Murphy (D-CT) that would require states to establish state-designed goals based on standardized testing. It would require states to intervene in the lowest scoring 5 percent of schools and those that graduate less than 67 percent of their students. It was voted down in the Senate by 43-54. Only two Democrats rejected this corporate education reform measure that is being used to close public schools and reauthorized them as charters in low-income communities. It was voted down because a majority of Republicans saw it as a violation of their ultimate goal of reducing the federal role in education. Both the Senate and the House versions of the ESEA rewrite continue annual standardized testing. Teacher and education writer Mercedes Schneider has a detailed analysis of the two versions approach to opting-out: Both House and Senate ESES Bills Allow for Opt-out Without Penalty. She finds her reading says both versions will allow opt-out without penalty with the Senate version leaving opt-out decisions up to the states and the House version saying all states must allow parents to opt-out their children from federal mandated testing. The main focus of Republicans is the promotion of states rights in education. States rights have historically been used by reactionary and corporate interests, such as the American Legislative Exchange Council (ALEC), to prevent federal standards and regulations. States right was the central conflict in the establishment of the U.S. Constitution that superseded the Articles of Confederation. The “Three-fifths Compromise”, which continued slavery and counted slaves as three-fifths of a person in determining political representation in the U.S. House, gave the slavocracy dominance in American politics until the defeat of the Confederacy in the Civil War. States rights continued as the basis of racial segregation until this began to be overturned with Brown vs. Board of Education in 1954 which desegregated public schools. The Democratic position on the ESEA rewrite is dominated, as can be seen by their near unanimous support for the Murphy amendment, by neoliberal Democrats who now dominate the party. They want the federal government to expand its role in education but with a doubling down of standardized testing. President Obama strongly supports this position. For an analysis of the neoliberal turn of the majority of Democrats see With Friends Like These … on the Defend Public Education! blog. On July 22, 2015, ten major education organizations, the leadership of the National Education Association and the American Federation of Teachers, and a dozen leaders of old guard civil rights organizations, sent a letter to the leadership of the House and the Senate urging swift passage of the reauthorization of ESEA. Pressure for “swift action” is the standard practice of right-wing forces when they want little democratic discussion because they fear such discussion will derail their rightwing agenda. Both teacher union leaders have shown by their actions that they support annual standardized testing. In 2010, Randi Weingarten testified three times before Congress on behalf of the Gates Foundation in support of teacher evaluations based on standardized testing. The true objective of Bill Gates can be seen in the way he has rewritten the history curriculum in Seattle. On July 30, 2015, Education Week published the transcript of an interview with Secretary of Education Arne Duncan by Alyson Klein. Education Week is heavily funded by the Gates Foundation, the Walton Foundation, and other corporate education reform “philanthropists”, thus the pro corporate education reform softball questions in the interview. For Duncan and corporate education reformers, “intervening” in low-performing schools, which are usually in communities with large numbers of low-come families, means closing them or doing a “turnaround” of a public schools into charter schools for charter management companies. At the forefront of promoting standardized testing as “a civil rights issue” are eleven old-guard civil rights organizations. On October 28, 2014, these groups had sent a letter to President Obama and Education Secretary Duncan urging them to drop the test-based accountability system. They said it ignores “critical supports and services” children need to succeed and discourages “schools from providing a rich curriculum for all students focused on the 21st century skills they need to acquire.” However, several months later, on May 5, 2015, many of the same organizations reversed their position, claiming standardized testing is a civil right and would promote equity in funding. The claim that standardized testing would promote equity in funding is a bogus one. Standardized tests are not used to evaluate or remediate a student’s education. In fact, they have been used, year after year, to close or privatize the lowest 5%, usually in low-income communities, based on test scores. In the coming years more and more schools of the lowest 5% will be privatized. For equity in funding, federal officials need only look at the income of families in each school and direct funds to the neediest schools. Au then goes on in this article to detail the funding these old guard civil rights organizations have been receiving from the Gates Foundation and the Walton Foundation. “In his prepared remarks to the National Urban League, he contrasted Florida's record of school choice, including its largest-in-the-nation tax-credit scholarship program, with the fight federal lawmakers have about the District of Columbia voucher program. He also criticized "unions and politicians" for wanting to shut down D.C.'s voucher program because, "they don't like parental choice, period." Also speaking to the delegates were Arne Duncan, Bernie Sanders and Hillary Clinton. Observers noted that while Hillary Clinton sharply criticized Jeb Bush’s political record, she did not criticize his education record. With the Congressional Conference on ESEA rewrite, supporters of public education are between a rock and a hard place. Between the ALEC-affiliated Republicans and the corporate education reform affiliated neoliberal Democrats, there are few supporters of public education in the 2015 U.S. Congress. On July 17, 2015, Journey for Justice Alliance, a coalition of parents, students, teachers, and 175 national and local grassroots, youth, and civil rights organizations, sent a letter to the Senate leadership calling for standardized testing provisions be removed by the Senate in the ESEA rewrite and a moratorium called on new charters. “We want balanced assessments, such as oral exams, portfolios, daily check-ins and teacher created assessment tools—all of which are used at the University of Chicago Lab School, where President Barack Obama and Chicago Mayor Rahm Emanuel have sent their children to be educated. For us, civil rights are about access to schools all our children deserve. Are our children less worthy? High stakes standardized tests have been proven to harm Black and Brown children, adults, schools and communities. Curriculum is narrowed. Their results purport to show that our children are failures. They also claim to show that our schools are failures, leading to closures or wholesale dismissal of staff. Children in low income communities lose important relationships with caring adults when this happens. Other good schools are destabilized as they receive hundreds of children from closed schools. Large proportions of Black teachers lose their jobs in this process, because it is Black teachers who are often drawn to commit their skills and energies to Black children. Standardized testing, whether intentionally or not, has negatively impacted the Black middle class, because they are the teachers, lunchroom workers, teacher aides, counselors, security staff and custodians who are fired when schools close. Standardized tests are used as the reason why voting rights are removed from Black and Brown voters—a civil right every bit as important as education. Our schools and school districts are regularly judged to be failures—and then stripped of local control through the appointment of state takeover authorities that eliminate democratic process and our local voice—and have yet so far largely failed to actually improve the quality of education our children receive. The Senators considering the ESEA rewrite ignored the letter from the Journey for Justice Alliance. The governing tribes of Washington State Tribal compact schools have also issued a letter to Randy Dorn, Washington Superintendent of Public Instruction, calling for an end to standardized testing. It is clear that no matter what Congress comes up with in a rewrite of ESEA, a broad grass-roots struggle must be waged against the privatization of public education. We cannot depend on Congress, either of the two parties, or even current union leaders to defend public education. All have been corrupted by the massive shift of wealth in the United States over the last twenty years. Grass-roots organizations must organize to oppose the privatization of all public services including public education. Eventually there will have to be an independent political struggle against those who would reduce the majority of the population to servitude for the few oligarchs who are currently running the United States. Just as in the 1850s (with Dred Scott decision and the Fugitive Slave Act), the Southern labor system (with low pay and no unions) is wending its way north.